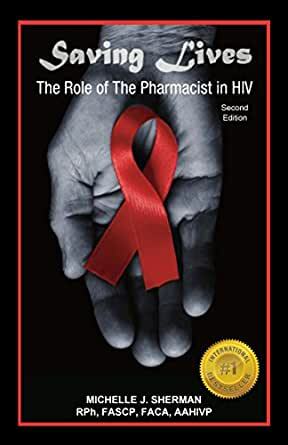 This eBook discusses the role of the pharmacist in patients with HIV/AIDS and shows what a critical role the pharmacist plays as a member of the patient’s healthcare team and in saving lives. Michelle Sherman is likely the most well-informed and passionate HIV pharmacist on the planet! She has an uncanny ability to convey complex information in a succinct and understandable manner. This book will prove to be immensely helpful to anyone who wants to be fully informed about effective treatment of HIV. Her book is a "fast-read" and contains several links to credible and invaluable resources for those wanting more specific details. About time we get this type of info...easy to understand and well written. Thanks to the author for her passion . I opened this book out of curiosity, and could not put it down. This book is filled with useful information, made more memorable by powerful examples of good and bad behaviors taken from real-life experiences. This book would be valuable to patients and care-providers alike, but should be required reading for all pharmacy and tech students. 5.0 out of 5 starsSaving Lives is a must read! Saving Lives is a must read if you know anyone with HIV. Very well written with very good insights that everyone with HIV should know.